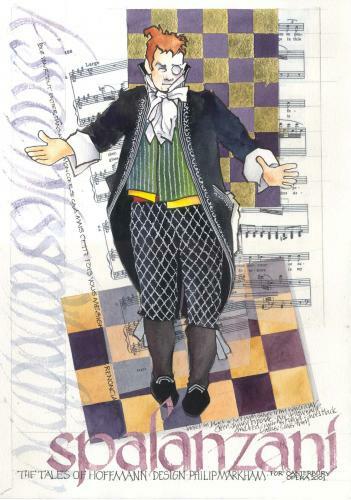 Over the years I have been commissioned to design the sets and costumes for Opera, Ballet and Theatre productions. This album contains a number of the costume designs for some of these productions. WAGNER is a character in the opera Faust by Gounod. 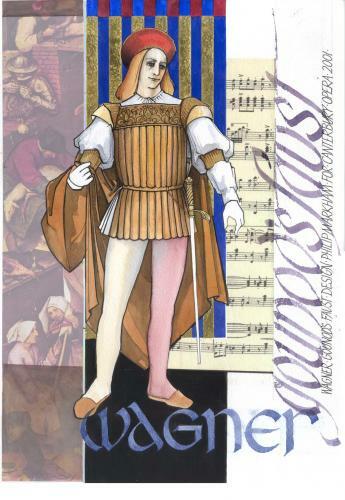 The designs for this Canterbury Opera version were for a production in 2001. SPALANZANI is a comic character in the opera LE CONTE D'HOFFMAN (the Tales of Hoffman) by Offenbach. 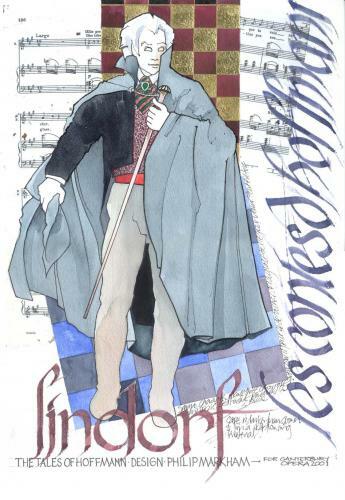 This design was for the Canterbury Opera production in 2001. 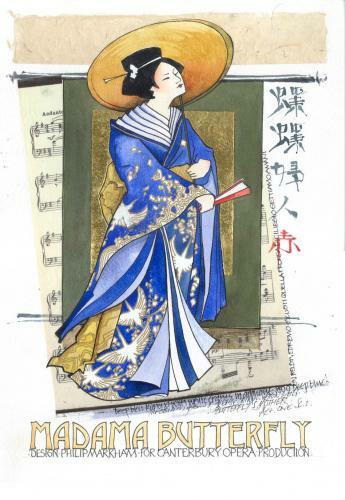 This is the design for the wedding kimono of Madama Butterfly in the 2002 NBR New Zealand Opera production. Count Lindorf is a character who appears in many guises throughout the opera to manipulate Hoffman. 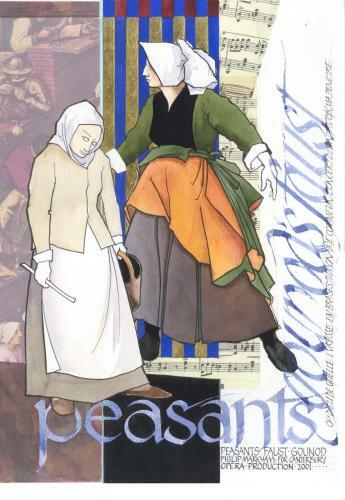 Peasant costumes for the women in the chorus of Gounod's opera Faust. Canterbury Opera production 2001. 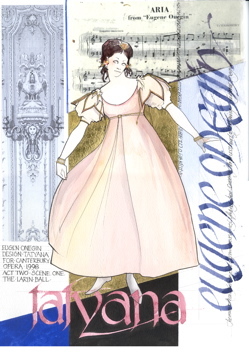 This is the costume designed for Dame Malvina Major when she sang the role of Tatyana in Tchaikovski's opera Eugene Onegin. It was staged by both Wellington City Opera and Canterbury Opera in 1998. 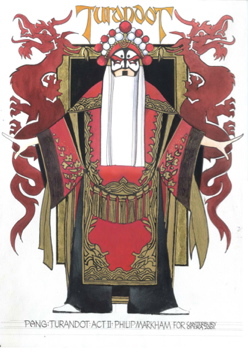 The Imperial Court costume of one of the three central characters in the opera Turandot by Puccini. 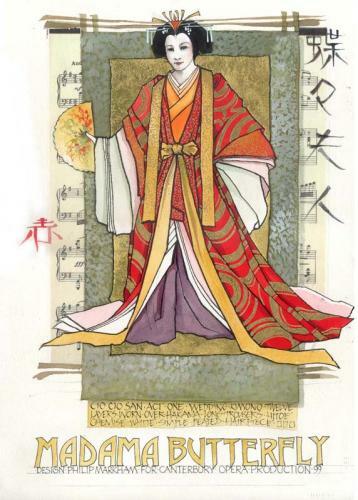 The three costumes are based upon those of the Peking Opera. 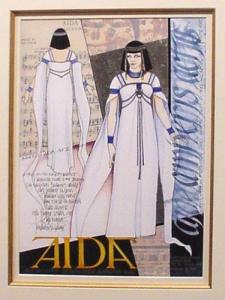 Costume design for Amneris in the NBR New Zealand Opera production of Aida. 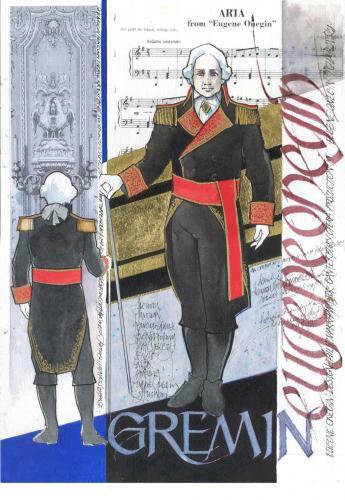 Costume design for Gremin in Eugene Onegin for Wellington City Opera and Opera Canterbury. Costume design for Butterfly's mother. Madama Butterfly was a joint production with Wellington City Opera, Canterbury Opera and Opera New Zealand.